The main feature is the door with frame in solid ash wood, combined with elements that personalise the Village proposal. 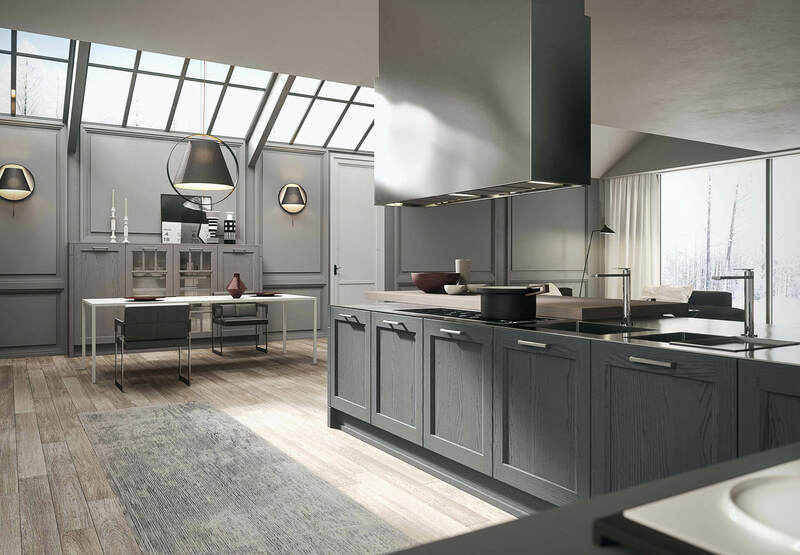 The subtle double incision on the louvre door, also available in a smooth version, the possibility to complete the composition with panelling, frames or finishing side panels of noticeable thickness, all available in 7 colours on frassino laccato and 7 colours on frassino decapè, offering the kitchen a touch of timeless charm. 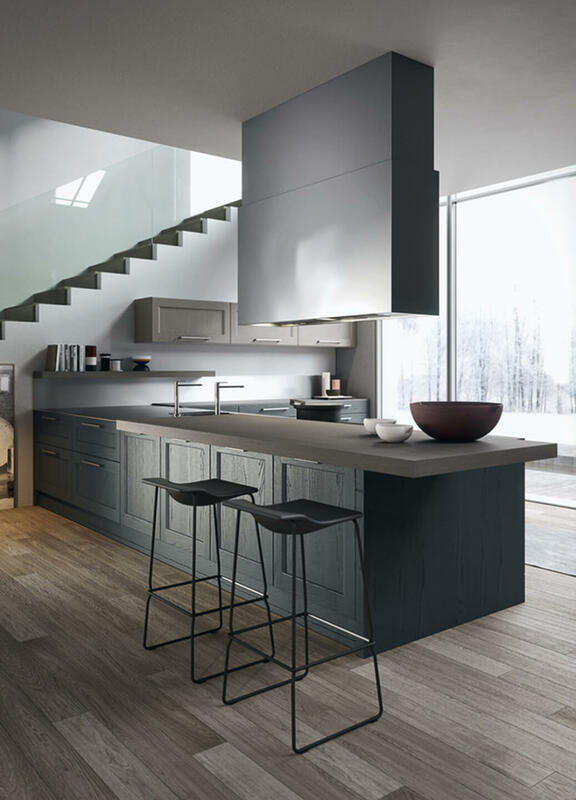 The vast modularity of Village, just like all Arrital collections, allows maximum personalisation of accessories, colours, worktops and storage spaces through careful design, adapting the system to suit any area, regardless of its style. 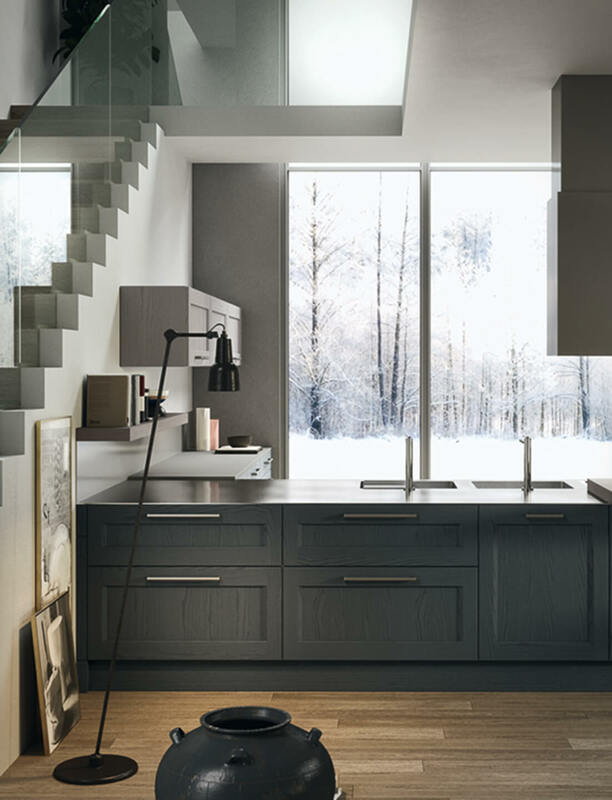 Further opportunities for the personalisation of Village projects can be found in the different types of available handles or various top finishes, for example in Vintage stainless steel for the work area, where the sink and hob are incorporated into a single surface. 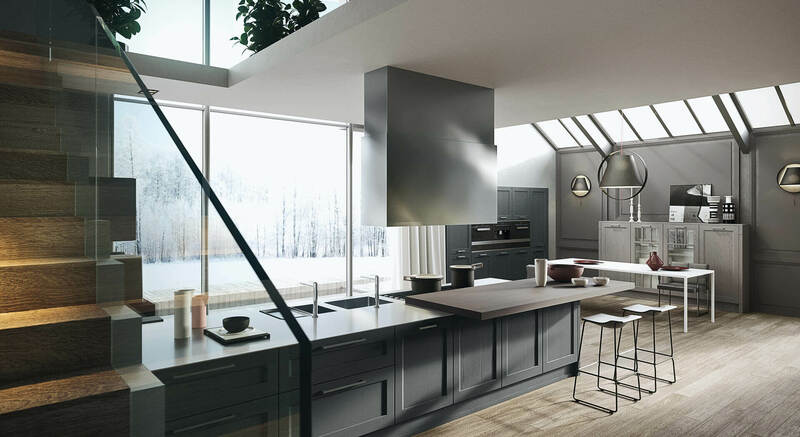 In particular, the steel treatment offers an appealing “worn” look, sitting well with country and design styles alike. 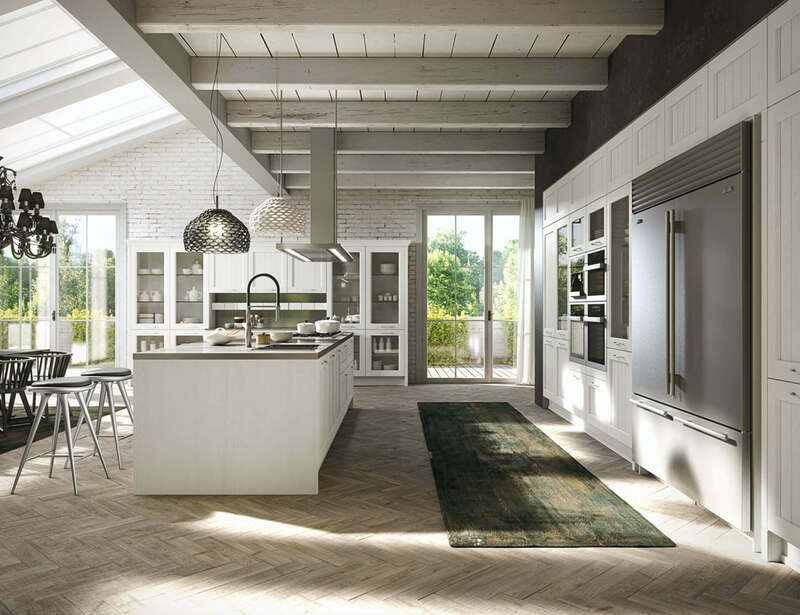 Arrital proposes numerous solutions for the integration of all types of appliances available on the market. 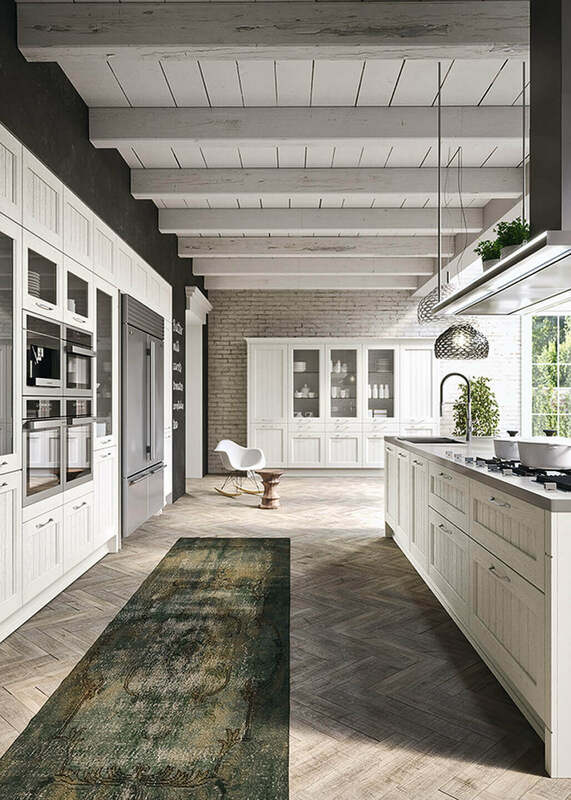 Solutions with vertical or horizontal installation offer infinite possibilities for kitchen personalisation. 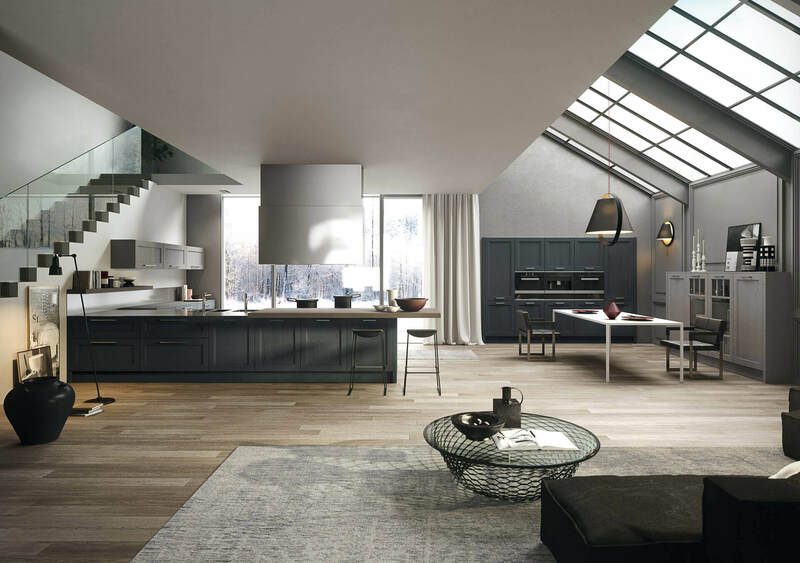 All systems in the Arrital platform allow the kitchen space to flow into the living area, using dedicated modules specifically designed for use in different spaces, with the same style. 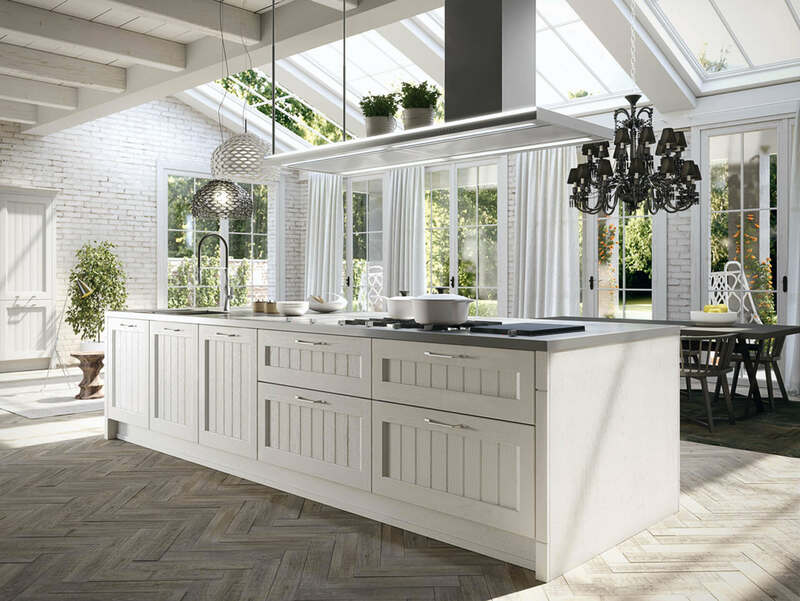 Village is set apart by its framed door, which can be combined with several types of handles, each serving to highlight the user’s style, from Country through to Design. 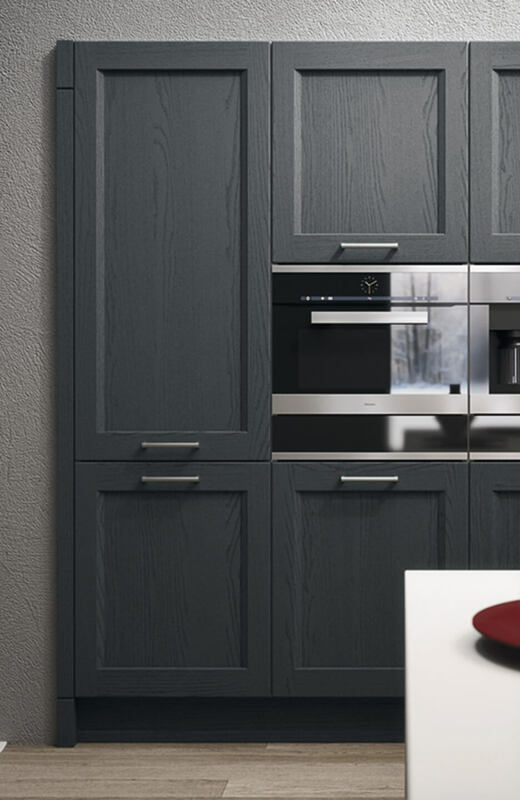 The slim stainless steel surface enhances the kitchen setting and offers the composition a touch of sophistication. The AISI 304 steel guarantees exceptional resistance against corrosion and excellent hygiene. 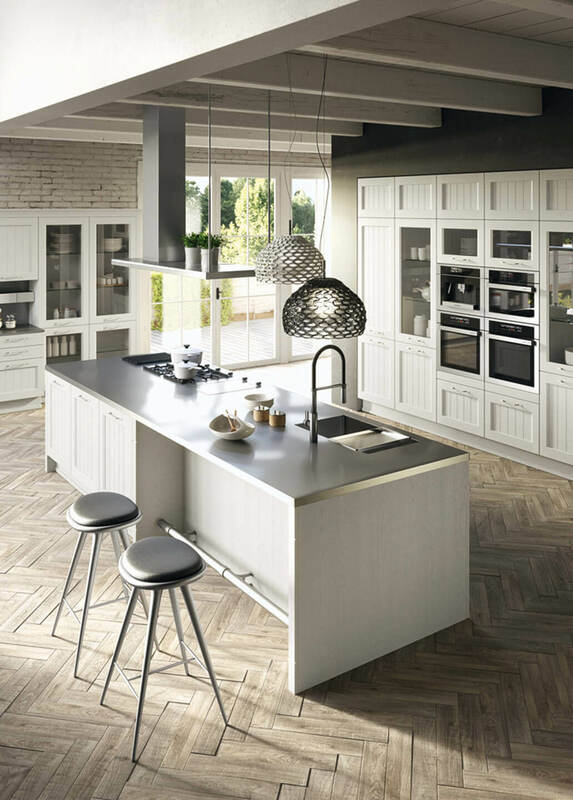 The kitchen appliances and sinks can be welded to create continuous, seamless solutions. An efficient product, easy to clean and resilient without compromising on the essential and elegant nature of an ever-modern material. 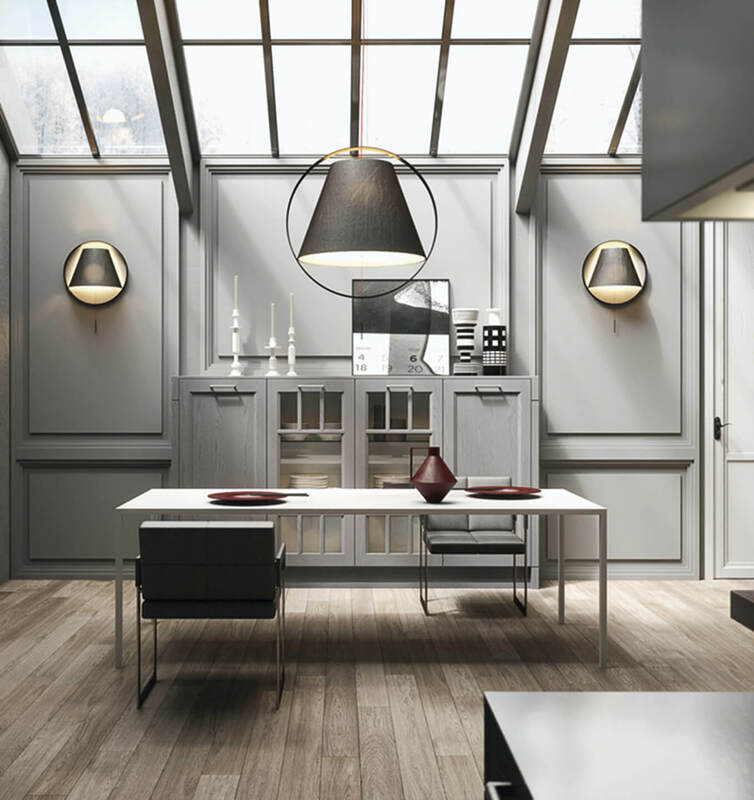 Represented by the framed door, Village is available in 7 different colours on Frassino decapè or Frassino laccato. The system also features various types of special doors, for example glass units, “glazing bar” doors or louvre doors. The selection of different depths for bases and tall units allows the designer to optimise space and create unique solutions. 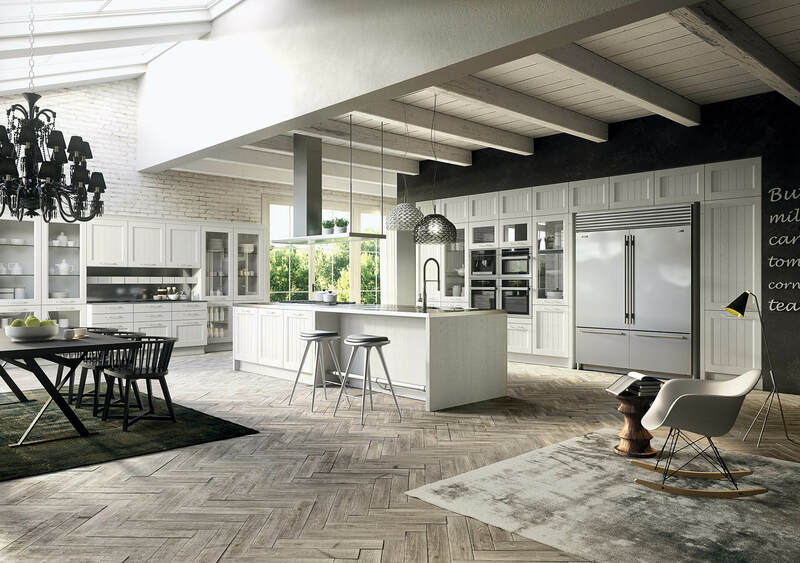 The combination of smooth and louvre doors and the use of glass units opens up the possible design solutions.